Whether you’re celebrating a holiday or just beating the winter blues, there are few things better than ripping the wrapping paper off a shiny new gift. Here at the MFG Advocate, we have been eyeing some very cool mfg/STEM/tech gifts, which we’ve complied here for you to check out. Perfect under the tree, or to enjoy all year long, here our are top gifts for 2014. Be sure to let us know if we left any out! 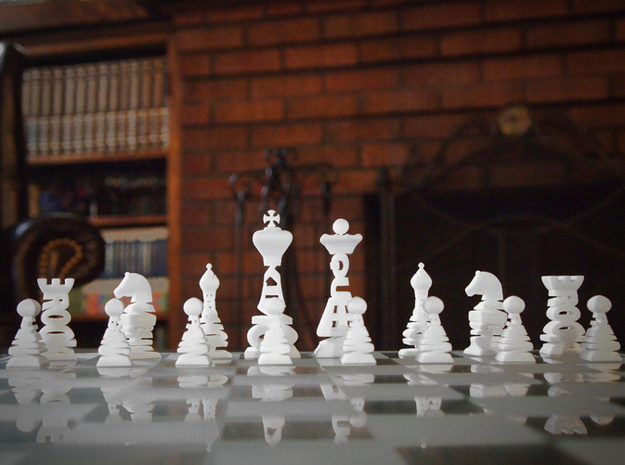 Chess may be a traditional game, but that doesn’t mean there aren’t modern boards. In this particular set, each piece’s design is made up of that particular piece’s name in very cool (3D Printed!) typography. Can you see the names of each piece build into their design? This compact dock is designed to hold the iPhone 5, so skip this one if you see a box from Apple in your stocking. But for those of us with the 5, this very sleek dock has two openings to amplify sound in order to make playing music and video chatting better experiences. In this book, futurist Brian David Johnson and cultural historian James Carrott explore steampunk, a movement that has captivated thousands of makers throughout the world. It is a very well written and fun read, discussing the look of today’s technology made with Victorian-era design and materials. A fantastic book for STEAM(punk) lovers everywhere. 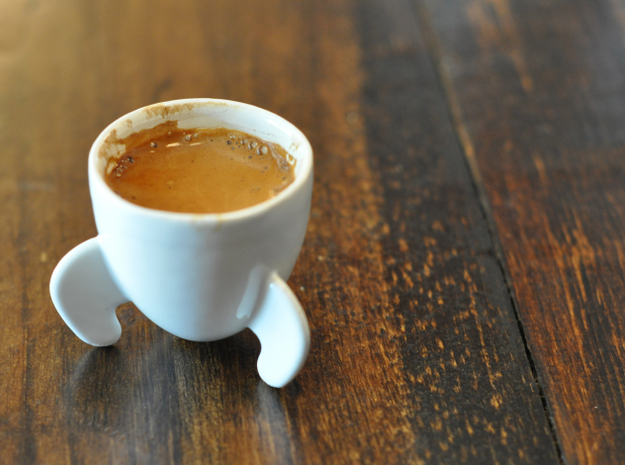 The ultimate morning boost, with the added bonus of a super cool 3D printed design. Plus, with this cup you’ll never forget 2014 was the year of “Interstellar.” Fun fact– all of the spacecrafts in that film were 3D printed as well! The Clothoid.A lamp is created by a mathematical curve formula, and printed in 3D CAD software. The resulting form is parametric and adjustable in an almost infinite number of combinations. Its one piece, a single line wrapping around itself, and it would look beautiful in any home or office. It is almost hard to believe this is a plausible Christmas gift. 3Doodles can be created as flat forms and peeled off a piece of paper, as freestyle 3D objects, or in separate parts, which can be joined together using the 3Doodler. The possibilites are endless. Give yourself, or a friend, a year of STEMspiration. We love Make: Magazine, its where we get a lot of great ideas for posts, discussions, at home DIY projects, and STEM based gifts. In fact, this is where we found our prizes for our super fun social media scavenger hunt at IMTS 2014. 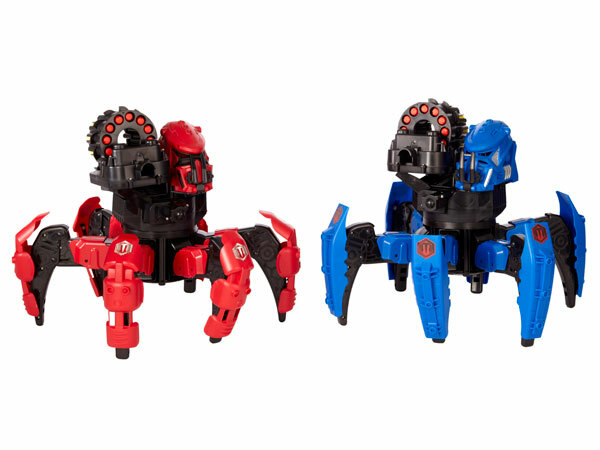 Attacknids are a hands-on way for kids to build strategic thinking skills and hand-eye coordination while discovering robotics. Each Attacknid comes with “Bolt ‘N’ Battle weapons,” including a dissector disc blaster, 20 discs, and clip-on combat armor. Dueling robots fire discs at each other at a distance of up to a whopping 30 feet! Consider saving this one until after the holiday madness! This nifty book is packed with laws, properties, sizes, tables, codes, conversions, specs, and something useful for just about every situation. This credit card size utility tool has twelve functions stacked into one millimeter of stainless steel! For one monkey you’ll have a flathead screw driver, a Philips screw driver, a micro-flathead screwdriver, a letter opener, a bottle opener, hex wrenches, a ruler, a straight edge, an orange peeler, a banana nicker, a phone stand, and last but not least a door latch slip. ‹ Is the Time Right to Add Automation?